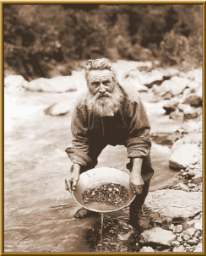 Do Prospectors Care About the Price of Gold? Is the Flash in Your Pan REAL Gold? How Does a Suction Nozzle on a Gold Dredge Work? 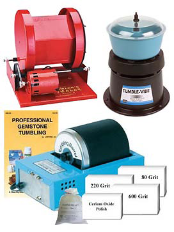 What is a Power Sluice or Highbanker? 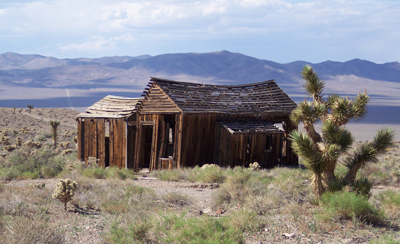 Unknown author; this poem was found on the door of an old prospector's cabin in southern Nevada. And it's ours, jest for the breathin' so let's fill up, you and me. Where the helpless human creatures move and throng and strive and seethe. And it seems like all creation has been made for me and mine. And the little 'dobe shanty that belongs to me and May. That was put here just to please me, with their blush and frown and cheer. An' we jest go campin' in 'em with a pan and coffee pot. I hate to see it burnin', but the land must sure be broke. He tears up much that's beautiful that the good God has to give? "Sagebrush aint so pretty?" — Well all eyes don't see the same. Have you ever saw the moonlight turn it to a silvery flame? When the night wind has been shakin' it — for its smell is hard to beat. But I sure do love the desert with its stretches wide and brown. An' it's ours jest for the breathin' so let's fill up, you and me.